With hundreds of years of combined experience amongst our funeral and cemetery staff we are uniquely qualified to serve all of your funeral and cemetery needs, whether a death has occured or you are planning for the future to ease the burdens from your family members, Cherokee Memorial staff is here to help. Victoria "Tori" Monforte began her career in the funeral industry in 2003 and graduated from mortuary college in 2005. Tori has been a licensed funeral director since 2005 and an embalmer since 2007. She holds a current embalmer license, funeral director license as and insurance license with the state of California. Tori has been with Cherokee Memorial Funeral Home since 2005. She was promoted to general manager of Cherokee Memorial Funeral home in 2015. Bradley Webb began his funeral career in 1995 and graduated from Mortuary College in 1997 in California. He became a licensed embalmer in 2000 and a funeral director in 2003. Brad holds a current embalmer license, funeral director license and insurance license with the state of California. He has been with Cherokee Memorial Funeral Home since 2005. Se habla español. Bryon Tomlinson began his funeral service career in 1984 and graduated from San Francisco College of Mortuary Science in 1987. After working in the Stockton/Lodi area at the beginning of his career, Bryon moved his family to California's central coast, where he worked for the next 15 years. Bryon has returned home and holds a funeral director license, embalmer license and insurance licenses with the State of California. Bryon has been with Cherokee Memorial Funeral Home since 2012. Melchor C. Garza began his career in the funeral business in Lodi in 1992. In 1994 he began studies at the San Francisco College of Mortuary Science, graduating in 1996. Melchor received his embalmer's license in 1998 from the state of California and he worked in the San Francisco Bay Area for 20 years before returning to Lodi, where he was born and raised. Melchor joined our funeral home staff in 2014. Dan Stanley grew up in St. Joseph, Missouri. He graduated with a degree in marketing and has a master's degree in resource management from the University of Wyoming. He has been sales and marketing director at Cherokee Memorial Park since 1988. Danny has been influential in guiding the development of Cherokee Memorial Park & Funeral Home for more than 25 years. Michael Moor, a San Diego native, graduated from Lincoln High School in Stockton before going on to attend college at Brigham Young University. He has been with Cherokee Memorial Park since 1988 as a family service counselor. DaMaris Brose-Helton is a native of North Dakota. She attended local high schools as well as San Joaquin Delta College and Fresno City College. 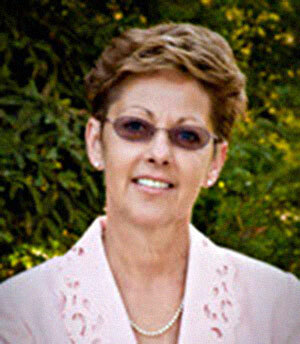 She has been a family service counselor with Cherokee Memorial Park since 1994. Claude "Matt" Bryant. Matt is a native of Stockton and attended local high school. He graduated college, receiving a bachelor's degree in business. Matt has worked in the funeral industry since 2001 and has been with Cherokee Memorial Park & Funeral Home as a family service counselor since Dec., 2014. 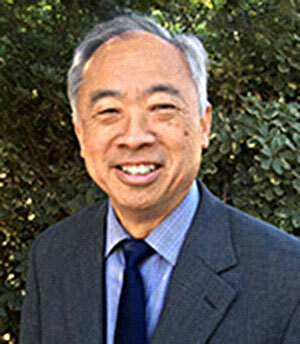 Chester Lum is a Stockton native and attended local elementary and high schools. He obtained his bachelor's degree at Vennard College in Iowa. Chester is an ambassador with the Greater Stockton Chamber of Commerce and a pastor of Journey Church. After assisting families at an area funeral home since 1997, he recently joined the Cherokee Memorial Park team. Janée Effenberg grew up in Lodi and graduated from Lodi High School, later attending San Joaquin Delta College in Stockton. Janée joined Cherokee Memorial Park & Funeral Home as a family service counselor in September, 2016. Walter Scheffer began his funeral service career in 1973 and graduated from mortuary college in 1976 in California. He attended Delta College as well as Pacific Union College in the Napa Valley. 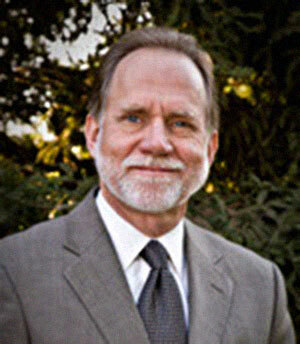 Walt has been licensed as a funeral director since 1977. He holds an embalmer license, funeral director license and insurance license in California. In 2015, Walt became president and Chief Operating Officer of Cherokee Memorial Park & Funeral Home after serving as the founding manager of the funeral home since 1998. 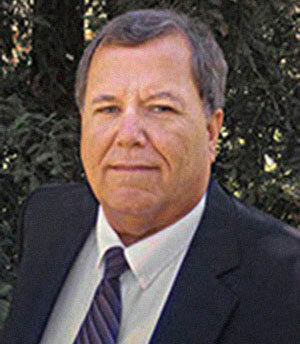 John Silvestri grew up in Southern California and attended Pacific Union College in the Napa Valley, graduating with a bachelor's degree in business administration with an emphasis in management. John began his work in the non-profit sector in 2008 and, in 2015, he joined the Cherokee Memorial Park and Funeral Home team as chief financial officer. Marc Gabrys, vice president of operations, began at Cherokee Memorial Park & Funeral Home in 1995 after graduating from UC Davis with a degree in landscape architecture. Marc's specialty is space planning and design and he has developed all gardens and features at the park since joining the management team. In addition to landscape architecture, Marc received a degree in business administration.